Every successful relationship requires open and honest communication. This same concept applies for the bond between the Haverford student body and decision-making making bodies on campus, including the administration, Students’ Council, and Honor Council. Haverford prides itself on the concepts of mutual trust, concern, and respect, which inherently necessitates transparency. 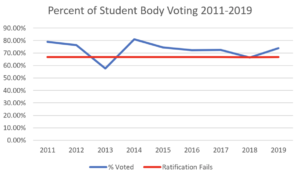 This is because without openness and clarity from these bodies on campus, it is impossible to expect students to trust, respect, or care about the decisions they make. Thus, as much transparency as possible between these institutions and students is absolutely imperative to honor the values of our college. More often than not, greater transparency equates to improved communication. One example of greater transparency resulting in more effective communication is the Students’ Council (SC) Treasury and the dissemination of funds to clubs last year as compared to this year’s budgeting process. Last year, following the release of the SC budget, many students were upset that their funding requests were not met. 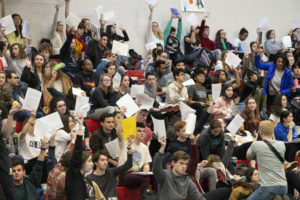 Students were unsure as to why their club received less money than others, which was reflected in overall student sentiment on campus and the grievances that were submitted to the Treasurers. This year, the Co-Treasurers opted for greater transparency regarding their process. They sent out multiple emails that delineated specific numbers year-to-year, specifics regarding why some clubs did not receive the funding they asked for. For example they wrote, “It is constitutionally disallowed to fund snack and food requests for which the food itself is not integral to the mission and purpose of club, or event in relation to the mission and purpose of club/organization.” However, in these cases they also directed students to alternate sources of funding, including the Rufus M. Jones (RMJ) fund. “However, and perhaps more importantly, we disapproved some events under the assumption and expectation that some clubs/organizations could send those specific events or expenses through the RMJ fund,” wrote the Co-Treasurers. 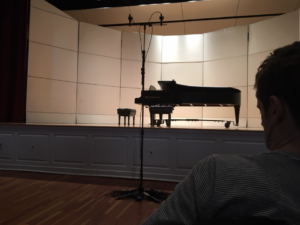 “The basic criteria is that the event be campus-wide, open to all in some capacity, even if it is RSVP, if the whole community has the opportunity to RSVP then it is considered campus-wide to a sufficient degree. Additionally, no alcohol shall be served at the event.” Although some clubs were still disgruntled by the amount of funding they received, as is inevitable when there is a finite amount of funding for so many student groups, the increased transparency allowed students to better recognize the reasons why. It also enabled them to better understand and navigate club funding moving forward. 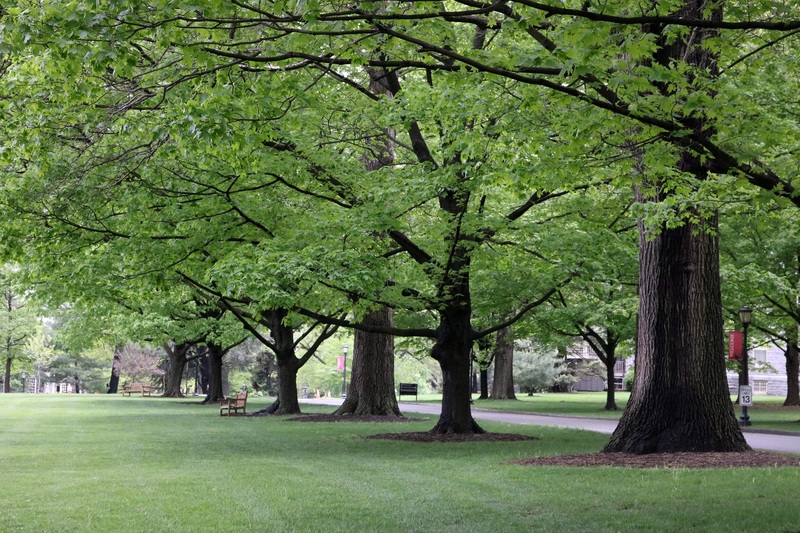 As a private collegiate institution, however, Haverford does have a responsibility to maintain the privacy of its students. I urge decision-making bodies to not use privacy and confidentiality as an excuse to withhold information from students in instances where they have a right to know. Honor Council abstracts demonstrate this balance between confidentiality and transparency well in that they divulge information about the trials, while still protecting privacy using pseudonyms. This encourages open and honest discourse among students about issues that face our community. While it remains an imperfect system, Honor Council trials attempt to be as forthcoming as possible, even in the face of heavy student involvement and necessary privacy. Honor Council trials also represent a tradition at Haverford that has well-delineated processes and rules. In many instances of questionable transparency, the issue resides deeper within a gray area. The sudden closing of Lunt Cafe before Fall Break this year represents a recent case of this. In their email announcement, SC Co-Presidents Saumya Varma ‘18 and Julia Blake ‘19 stated that Lunt Cafe would be closing due to concerns about mismanagement and accountability. While I understand that the statement was left intentionally vague to protect involved students’ privacy, as well as protect the financial liability of the college, I also believe that we deserve greater transparency. As a SC-funded, student-run service designed for the benefit of the student body, students should have the right to know more about the events that led up to the cafe’s closure and be able to ask questions. Ultimately, mismanagement of funds allocated to Lunt not only resulted in the removal of two managers, but also losses to the student body in the temporary closure of the cafe and irresponsible use of funds that could have been better used elsewhere. Culpable parties should be held accountable for their actions, and transparency with the community is the most honest and effective means of achieving that goal. Students, even those not a part of campus decision-making bodies, should want to seek out the truth and strive for greater transparency. Whether that’s by asking questions, engaging with administration and student government, or simply actively participating at Plenary. We are all a part of the Haverford community. Merely floating by and being blissfully ignorant of issues that face students across our campus is not only insufficient, but conceited and irresponsible. Furthermore, complaining about flaws in institutional decisions or processes, while simultaneously doing nothing to change them is only feeding the egotism and that has become associated with our “millennial” generation. 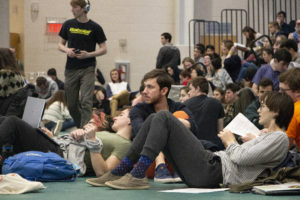 My dear friend and fellow Clerk editor David King wrote a piece claiming that transparency versus confidentiality should not be our primary concern, but rather it should be whether or not the student body is even deserving of self-governance at all in the face of widespread complacency. He states that Haverford is a “pseudo-republic” in that “we elect representatives to do work for us, to govern for us, to represent our interests.” But this doesn’t mean that these officials should be making decisions for us, as King states in his argument. Rather, it should be the duty of the entire student body to create an open dialogue to best inform decision-making processes, regardless of whether or not one is an elected representative. In fact, a lack of transparency and accessibility to information only reinforces the vicious cycle of apathy. If students consistently feel like they are not being heard or receiving total truthfulness, then it becomes easy to feel powerless within the system of student-governance. We should all desire to promote integrity and accountability to improve the relationship between these bodies and the rest of the Haverford community. While this article demonstrates that I disagree with King on several points, we can agree on at least one point: as a community, we cannot expect transparency if we fail to take agency.